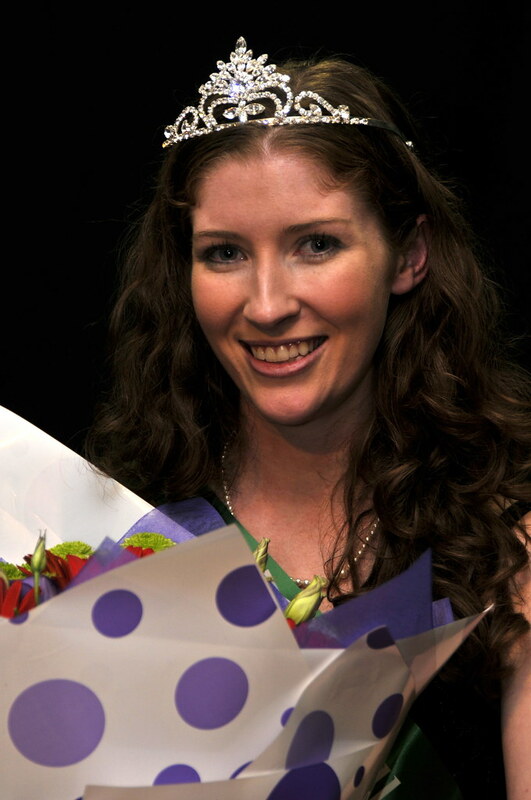 The young women of Irish birth or descent listed below will be competing for the honour of being the New Zealand Rose of Tralee, to succeed Alana Marshall, the 2012 New Zealand Rose of Tralee. Roisin was born in 1989 in Auckland. Her current occupation is Bar Tender, but she says that is only until she finds a permanent position as an Occupational Therapist. She was educated at St Dominic's in Belfast, achieving 3 A Levels in Irish, History, and Applied ICT. She also attended the University of Ulster Jordanstown, completing a BSC (Hons) in Occupational Therapy. Since moving to NZ outdoor activities have become a great hobby such as white water rafting, luging and beach activities, and has just completed her first skydive. Roisin plays the traditional Irish flute has gained grade 8 level with this and use to play in a group called Loch Lao in Belfast, and made an album. She enjoys going out for meal, trying new things, being busy, meeting people and payday. Would like to become a successful client centred OT within the mental health sector and travel more around the Southern hemisphere. Roisin's father was born in Belfast and her mother's parents are from Fanad Co Donegal. The family moved to Belfast when Roisin was 5 years old. Watch Roisin's on-stage interview at the Selection Ball. 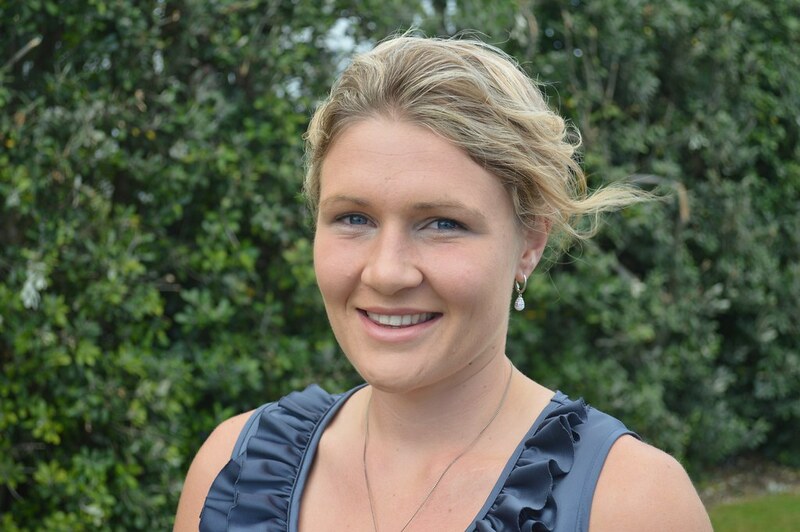 Stephanie was born in 1986 in Stratford, Taranaki but now lives in Te PUke. She is a Senior Track Rider for a large horse-racing organisation. She has a National certificate Tourism (guiding), an Advanced Diploma Original Tap Syllabus, and Advanced Diploma Original Jazz Syllabus. When not working, she enjoys tap dancing, horse riding, gardening, baking, sewing & fashion, rugby. She is also keen on Car racing, travel and "being surrounded by inspirational people". Stephanie's Father came from Athy Co Kildare, Maternal Great Grandmother came from Co Kerry. Watch Stephanie's on-stage interview at the Selection Ball. To use my education and experience to inspire younger generations through dance and animals. Educating myself on my heritage and family. 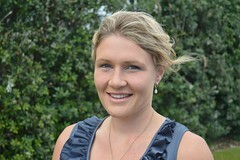 Sophie was born in 1990 in New Plymouth. 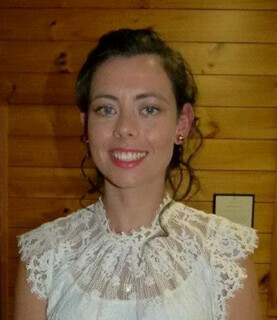 She is a Physiotherapist at Taranaki Base Hospital, having been educated at Auckland University of Technology, Massey university and Sacred Heart Girls College. When not working she plays hockey, enjoys running, swimming, fishing, gardening, rugby (once played, now just a spectator). She also dabbles in Kayaking, Diving, and Surf Lifesaving. In High school she played the piano and competed in speech and drama, took singing lessons and acted in plays for the Opunake Players. Sophie's connection with Ireland comes from her paternal great- great grandfather who was from Co Wicklow, and a maternal ancestors from Co. Kilkenny, Co Roscommon, and Co Armagh. Watch Sophie's on-stage interview at the Selection Ball. To become self-sufficient and have a wonderful garden. Would like to live in an eco-friendly house. Elizabeth was born in 1987. 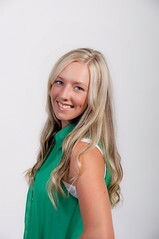 She is a Television Presenter on Trackside/TAB TV. She attended Wanganui High School (was Dux of her year), and then University of Auckland where she completed a BA/LLB (Hons) conjoint degree. She says that her Irish Heritage lies with her Paternal grandparents were both born in Ireland. Her grandmother was from Athy Co Kildare and her grandmother was from Annascaul Co Kerry. Elizabeth is passionate about horse and greyhound racing attending meetings whenever she can. she has a love for fashion with an obsession for hats and dresses. Also has a passion for music achieving Grade 8 AMEB (with Merit) in classical piano in 2001. She worked as the resident pianist at the Northern Club in Auckland for 5 years. Would love to travel to Europe and Ireland and attend the Melbourne Cup one day. Watch Elizabeth's on-stage interview at the Selection Ball. Amy was born in 1986 in Dublin. 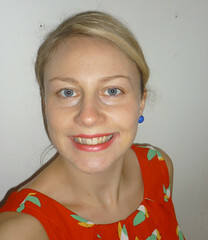 She works from home as well as in Wellington as a Senior Massage Therapist. She has a Diploma of Complimentary Health medicine from the College of Commerce in Cork. Amy was born in Dublin and her parents live in Gorthnaglough, Ballinhassigh Co Cork. In her spare time she enjoys tramping, kayaking, rock climbing, art, screen printing, cooking/baking, animals and wildlife and has been involved in raising money for the SPCA. Amy has done tramping around different places in New Zealand, multi-day Kayak trips in Marlborough Sounds and multi-day back country canoe trips in Canada and would like to complete several of the Great Walks in New Zealand along with the not-so-touristy tramps. Is a member of the Welsh Bake Club. Likes Home Brewing wine and sake, museums, different types of art, new experiences and meeting new people. Watch Amy's on-stage interview at the Selection Ball. A personal goal is to be self employed and would like to be living with enough land to have chickens and a large garden in order to be self sufficient and make delicious preserves. Judeena was born in 1987 in Auckland. She is an Engineer. She was educated at the University of Auckland, gaining a BE/BA conjoint degree and Bachelor of Arts in English Literature. Judeena's father was born in Co Louth, Ireland. Her mother was born in Vaipua, Savaii, Western Samoa. She likes Roller blading, reading travelling, travelling, socialising learning new things, reading, current events, cooking, cats, spending/ time with nieces and nephews. She completed volunteer work in Cambodia in 2010. She went to Irish dancing classes until age 15, and played viola until age 16. "To challenge myself, to be appositive role-model to my nieces and nephews, travel the world, give back to the communities when I am able to." Watch Judeena's on-stage interview at the Selection Ball. And watch her chat the morning after being selected as the NZ Rose. Laura Russell was born in 1987. 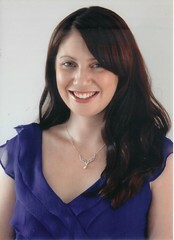 She is an Event Co-ordinatior for the ILT Kidzone Festival, working for Venture Southland. She has a Bachelor of Arts, Majoring in Communications, Minor in Marketing from Otago University. Laura's father was born in Greenisland just South-West of Carrickfergus. her gandparents immigrated to NZ in 1962 with their 2 sons. 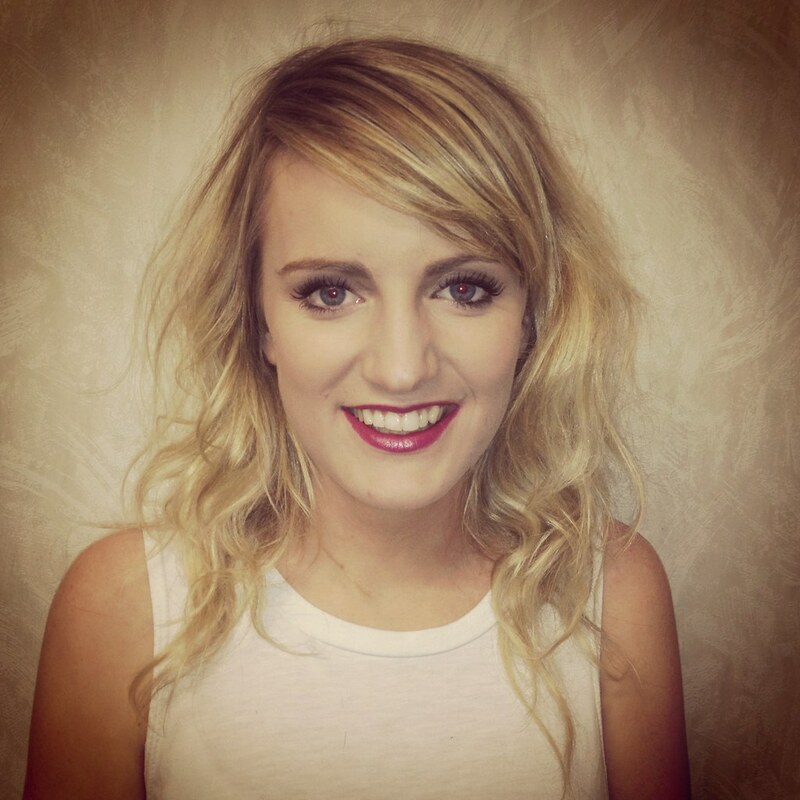 her grandfather was born in Belfast and her grandmother was born in Coleraine, both in Co Antrim. In her leisure time she coaches Junior Girls Basketball teams. Her hobbies include reading, watching history documentaries, spending time with family, walking the dog, going to shows, renovating. To create more opportunities for children and young people of Southland to get involved in sports/activities. Continue to work with community groups, create equal opportunities where cost isn't an issue, and children can get involved in things they are passionate about. Watch Laura's on-stage interview at the Selection Ball.